According to the National Education Management Information System (NEMIS), more than 22 million children in Pakistan have never seen the inside of a classroom. This leaves them destined to a cycle of illiteracy, poverty and street life. 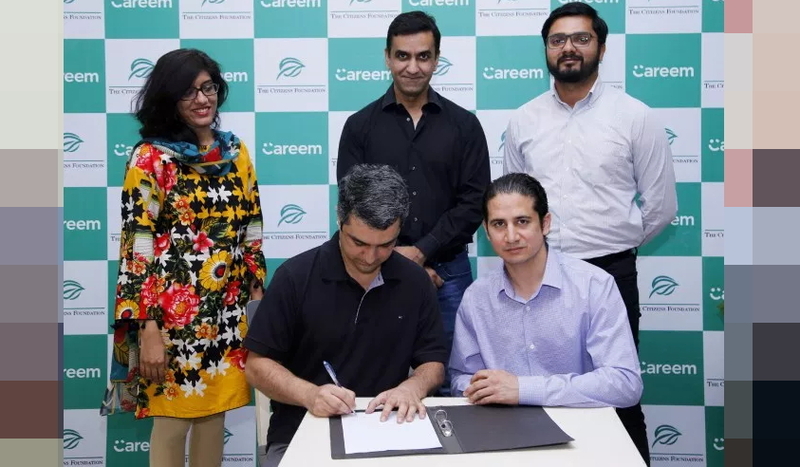 Careem has decided to become a part of the solution with The Citizen’s Foundation (TCF), one of the largest not-for-profit working for low-cost formal education in Pakistan. For the entire month of Ramzan, Careem will set up a car type for TCF, where additional Rs20 will be charged to the customer who opts for it and Careem will match the amount of the funds raised. These funds will go towards educating children from less privileged communities and enabling quality education for them. “Careem has been a really supportive partner in TCF’s journey of making education more accessible for Pakistan’s children. With Careem’s reach in the masses, it’s a great idea to introduce this car type and bring greater awareness among people about TCF’s work. The small donation for Rs. 20 has made it easy for many more people to contribute their bit to education. TCF is reaching out to more than 200,000 less privileged children by taking schools to them in the heart of urban slums and rural communities. We are running almost 1500 purpose built schools across Pakistan. We are happy to partner with Careem and look forward to our continued collaboration for a better Pakistan,” said CEO & President of TCF Syed Asaad Ayub Ahmad. Generosity and inclusion are among Careem’s core values. Careem partnered with TCF because of the transparent nature of the organization and faith in their core values of integrity, ownership and continuous improvement. Careem does not only wish to revolutionize the technology sector in Pakistan, it also aims to help serve the community through socially-conscious initiatives. Given that education is a pressing issue in Pakistan, it is crucial that everyone plays their part to help the cause of education. “Careem, perhaps more than any other organization, knows that change begins with a dream. We dream of a day when the children of our country get the education they deserve. Unless we are able to address this critical situation, the country will not be able to move forward. Because education is the only answer to the tough questions we are facing today as a society. Last year we were able to raise almost PKR 2 million, this year we want to go much further. Given how generous Pakistanis are, I am hopeful that we will achieve that. We look forward to people donating generously and becoming a part of the positive social change.” said Managing Director, Careem, Junaid Iqbal. A similar partnership between TCF and Careem last year helped raise funds last Ramzan to support education, which helped in putting more children in school and be a greater part of TCF’s education movement. Careem is committed to being more than just a service, and promises to build a better Pakistan by enabling education for all.